Strangers at the Start; Friends at the Finish! Why run alone? No matter what your speed or goal, you can sign up to run with the Digital Running Club at fun events with a custom training plan from Coach Brian. Event details are also announced on our Facebook page. Like our page today to stay up to date! OCT 2011: Disney’s Wine & Dine Half Marathon Weekend, Orlando, FL. 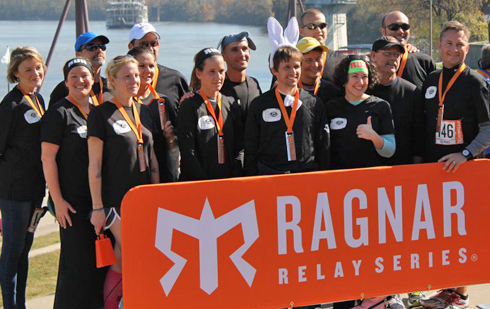 What is a Ragnar Relay? 12 runners split into 2 vans for an overnight, 200 mile running relay race that makes testing your limits a team sport. Each individual runs 3 legs that vary in difficulty and distance, from 3-12 miles, across some of the country’s most scenic terrain. We run for the fun – crazy costumes, inside jokes and a great finish line party. We’re “Strangers at the start but friends at the finish!” If you need help getting a team of friends or coworkers through a Ragnar Relay from start to finish, we can help! We bring the gear, rent the vans, plan out who runs when, even pre-program the GPS, and you show up for the fun – and run! This is a great team building experience for runners of all levels. If you are in the Tampa Bay area & want to join us for a group run, sign up to be emailed a notification every time a group run is scheduled. If your club or team is interested in hosting a Digital Running Club running event, or if you need Team Captains to lead your team through a run that is New-To-You, please contact us today.